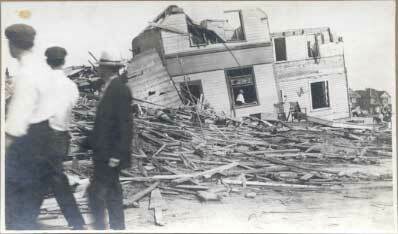 The Regina Cyclone is a popular name for a tornado which hit Regina, Saskatchewan, Canada. It killed 28 people, making it the deadliest Canadian tornado. 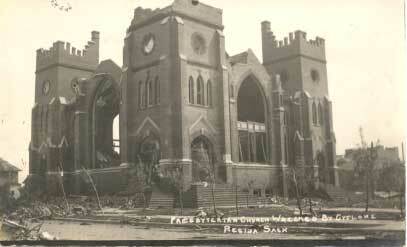 It started about 4:50 p.m. on June 30, 1912, forming 18 kilometres (11 miles) south of the city. The tornado move 12 kilometres (7.5 miles) north before dissipating. It was approximately 150 metres (490 feet) wide. The tornado was estimated to have been an F4 on the Fujita scale. 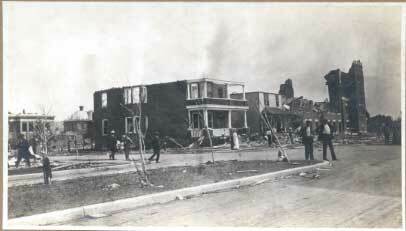 It killed 28 people and left 2,500 homeless. It caused CD$4.5 million in damages. Victoria Avenue and Smith Street immediately west of Metropolitan Methodist Church, across Smith Street from the current City Hall. 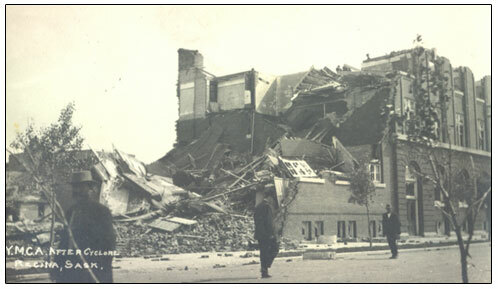 Damage to the YMCA on 12th Avenue immediately north of Victoria Park. Regina Cyclone Facts for Kids. Kiddle Encyclopedia.